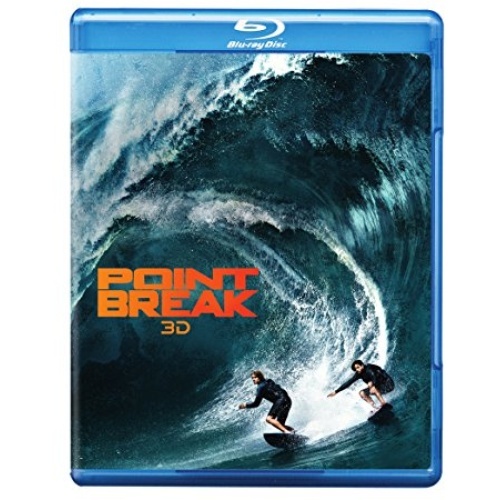 The Point Break Blu-ray 3D is a key action title released by Warner Home Video on March 29th, 2016. This crime thriller was written by Kurt Wimmer and is a loose remake of the 1991 film of the same name. The US/Chinese co-production was released in China on December 4th, and in the United States on December 25th. Despite poor critical response, the film went on to earn $131 million against a $105 million budget. The Creed Blu-ray from Warner Home Video on March 1st, 2016 was the top Blu-ray release of the week this week. This sports drama was written by Ryan Coogler and Aaron Covington as a spin-off and sequel to the Rocky film series. The story follows Apollo Creed’s illegitimate son Adonis Johnson, who connects with Rocky Balboa. Creed was released on the fortieth anniversary of the date of the opening scene in Rocky. 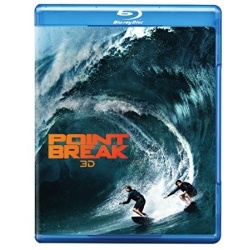 The Point Break Blu-ray 3D release has been announced by Warner Home Video for March 29th, 2016. This action thriller was written by Kurt Wimmer, and is a remake of the 1991 film of the same name that featured Patrick Swayze and Keanu Reeves in the lead roles. Again the story features an FBI agent who attempts to infiltrate a group of extreme athletes who are suspected of carrying out audacious crimes, and use their skills to evade capture. 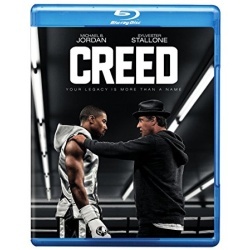 March 1st, 2016 will mark the arrival of the new Warner Home Video Blu-ray release for Creed. This boxing drama was written by Ryan Coogler and Aaron Covington, and is a spin-off / sequel to the Rocky film series. The film features Apollo Creed’s son Adonis, and Sylvester Stallone reprising the role of Rocky Balboa. Filming took place in Liverpool, as well as Philadelphia – which is of course Rocky’s hometown. 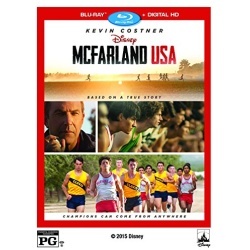 McFarland, USA has just been announced by Walt Disney Studios Home Entertainment for release on Blu-ray Disc June 2nd, 2015. 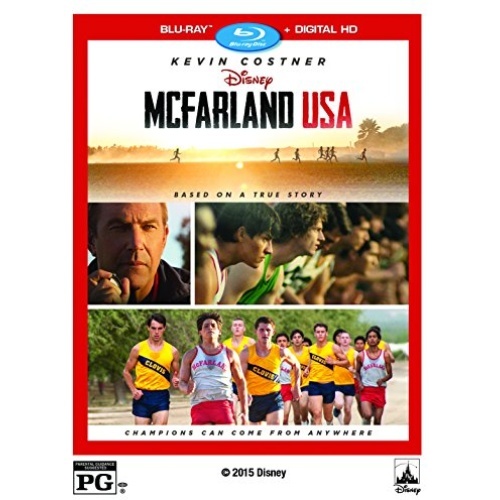 This sports drama is based on the true story of a 1987 cross country team from McFarland High School in California. The movie features Kevin Costner as the school’s coach Jim White, who leads the team to win a state championship. In addition to Kevin Costner, the cast includes Maria Bello and Morgan Saylor. March 24th, 2015 saw the arrival of the Universal Studios Home Entertainment Blu-ray release for the war survival film Unbroken. This biographical war drama was based on the 2010 non-fiction book by Laura Hillenbrand titled Unbroken: A World War II Story of Survival, Resilience, and Redemption. The film tells the story of USA Olympian Louis ‘Louie’ Zamperini, who survived in a raft on the ocean for 47 days, and was then sent to a series of POW camps. March 24th, 2015 will mark the arrival of the new Universal Studios Home Entertainment Blu-ray release for Unbroken. This biographical war drama was based on the 2010 non-fiction book Unbroken: A World War II Story of Survival, Resilience, and Redemption by Laura Hillenbrand. The film recounts the life of USA Olympian and athlete Louis Zamperini, who survived in a raft after his bomber was shot down in World War II, and was then captured and sent to a series of prisoner of war camps. On Any Sunday: The Next Chapter is the latest extreme sports documentary to be released by Red Bull Media, with a Blu-ray released February 10th, 2015 release. The film is a followup to the original 1971 film On Any Sunday, which was made by Bruce Brown of The Endless Summer fame. 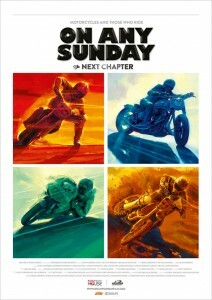 The documentary delves into many aspects of motorcycling, from amateur to pro, from dirt and motocross, to high speed racing on tarmac, with riders young and old from all corners of the globe. 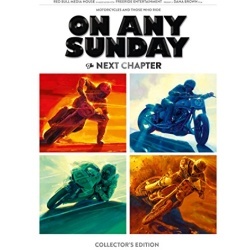 Recently I was given the opportunity to attend a screening of On Any Sunday: The Next Chapter at the Dolby theatre in San Francisco. The Dolby theatre is easily one of the best places in the world to see a movie projected. The room is equipped with a state of the art projector that is capable of High Frame Rate 3D projection. The best part though is the sound – the theatre doubles as a lab for development and a Dolby Atmos mixing room. As such the equipment is state of the art, right down to the comfy chairs that are designed to be acoustically neutral.